Heavy Muscle Radio: (04/19/10): Chris Aceto & Victor Conte! Contest Prep Guru Chris Aceto helps Dave & John wrap up this past weekend's 2010 IFBB Europa Show of Champions. He also talks about how he dialed in 202 Class winner IFBB Pro Eduardo Correa! BALCO Founder Victor Conte is once again the subject of news headlines, this time involving a Defamation Suit brought against him by World Welterweight Champion Boxer "Sugar" Shane Mosley! He tells his side of the story, only on Heavy Muscle Radio! Heavy Muscle Radio: (04/12/10): Eddie Giuliani & Dr. Scott Connelly! You may recognize Eddie Giuliani from the movie Pumping Iron as the guy who taunted Arnold Schwarzenegger during the infamous beach scene, right before he visits Lou Ferrigno in New York. Eddie has some classic stories that only he can share! Met-Rx founder Dr. Scott Connelly is always pushing the limits in human performance with his company Progenex, and fills us in on the latest research on hyperglycemia and how it effects all of us in our daily lives. 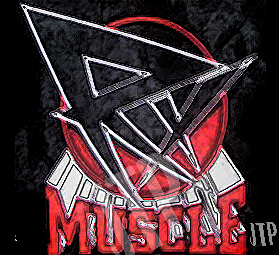 Heavy Muscle Radio: (04/05/10): Tom Kinney & Sean Andros! Tom Kinney is the founder of TK STAR Exercise Equipment and was an industry icon in the development of innovative gym machines. 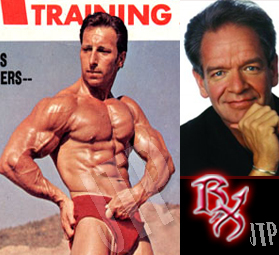 He tells Dave & John how he developed these machines and how they revolutionized bodybuilding training. RXMUSCLE.COM's own Sean Andros took the Overall win in bodybuilding at this past weekend's 2010 NYC Steve Stone Metropolitan Bodybuilding Show.